As a couple who has endured a tragic loss, you will face many grim moments together that will likely be etched in your mind forever. Early in your grief, those moments will dominate your experience and you'll barely know how to take the next step for yourself, let alone keep things in a good place with your partner in life. Looking back, one of the big stumbling blocks I faced was learning how to navigate my husband's needs as he worked through the pain of this loss in his own unique way. There were many days I felt like everything I was doing was only making things worse for him and driving us apart when we needed each other the most. I became desperate for new strategies that would bring us back together...which led me to get really resourceful. Several years in, we have gone all-in to find the things that help us the most. Things that not only brought us through but have also brought us closer. One of the things I wish we'd found earlier is to lend support to each other in a way that honors our own individual emotional communication preference, or Love Language. With Dr. Gary Chapman's "The 5 Love Languages," you can each take a quiz that will determine your Love Language so that your partner has a better understanding of how to best express their love for you. 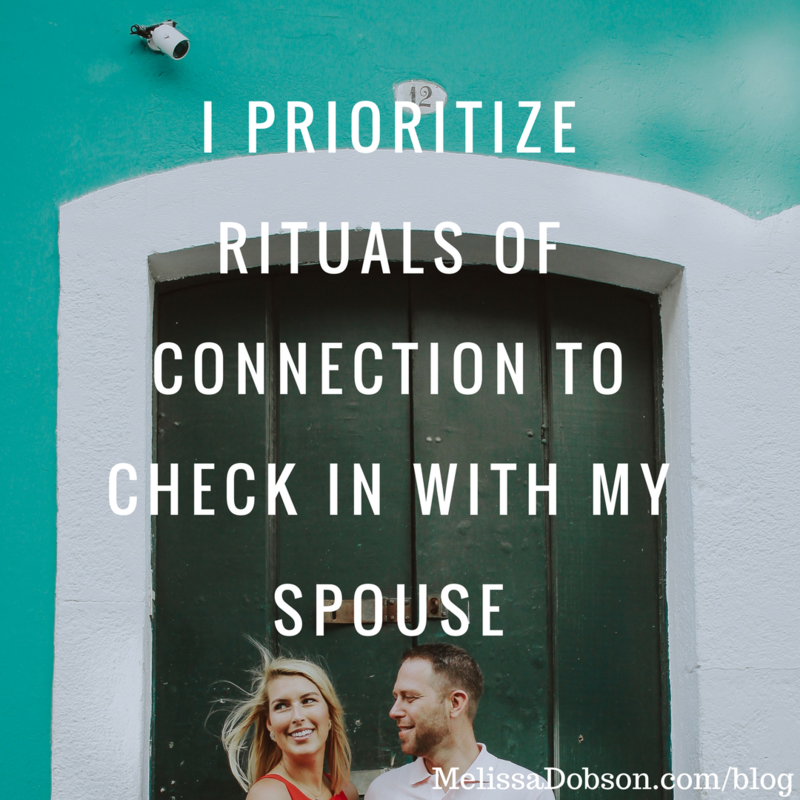 My Love Language is Quality Time which means that nothing says, "I love you," like full, undivided attention. We've created a nightly reconnection practice that we call Sunset Gratitudes where we grab a drink and head outside or gaze out the front window when the sun dips and then reveal the 3 things from that day that we're each most grateful for. It's become a mini-date that I've come to love and has been incredibly healing for us. This is especially helpful when working through the intensity of your loss. So many times, we try incredibly hard to be supportive to each other, only to have our efforts fall flat, or leave our significant other feeling unloved. Your emotions may be raw or numb as you read this but I know deep in my heart that a commitment to do things that are most meaningful to your partner is the secret to keeping your love alive as you walk through the fires of your loss. The flames can intensify your bond despite any fears that they may consume you. The concepts in "The 5 Love Languages" could make a significant impact on the marriages and families in our country, according to Dr. Chapman. Check out the Love Languages Profile for Couples to see if it's right for you. Like this? Sign up for my weekly newsletter for more tips, training and inspiration.